KOSAMBI, Indonesia, Oct 27 (Reuters) - Indonesian police on Friday started questioning the owner of a fireworks factory destroyed in a series of explosions and a fire that killed 47 workers and injured dozens, leaving some with horrific burns covering up to 80 percent of their bodies. In one of Indonesia's worst industrial disasters, many workers were unable to escape the fire at the plant in Tangerang, an industrial and manufacturing hub near Jakarta, on Thursday. Police and residents broke holes in the walls to help trapped workers forced back by the intense heat from the blaze. Indonesian police officers carry a dead body after an explosion at a fireworks factory at Kosambi village in Tangerang, Banten province, Indonesia October 26, 2017. Antara Foto/Muhammad Iqbal via REUTERS ATTENTION EDITORS - THIS IMAGE HAS BEEN SUPPLIED BY A THIRD PARTY. MANDATORY CREDIT. INDONESIA OUT. NO COMMERCIAL OR EDITORIAL SALES IN INDONESIA. Indonesian police officers check dead bodies after an explosion at a fireworks factory at Kosambi village in Tangerang, Banten province, Indonesia October 26, 2017. Antara Foto/Muhammad Iqbal via REUTERS ATTENTION EDITORS - THIS IMAGE HAS BEEN SUPPLIED BY A THIRD PARTY. MANDATORY CREDIT. INDONESIA OUT. NO COMMERCIAL OR EDITORIAL SALES IN INDONESIA. A police officer is seen at the site of an explosion at a fireworks factory at Kosambi village in Tangerang, Banten province, Indonesia, October 27, 2017. Antara Foto/Sigid Kurniawan via REUTERS ATTENTION EDITORS - THIS IMAGE WAS PROVIDED BY A THIRD PARTY. MANDATORY CREDIT. INDONESIA OUT. NO COMMERCIAL OR EDITORIAL SALES IN INDONESIA. A police officer walks carries fireworks and raw materials from the site of an explosion at a fireworks factory at Kosambi village in Tangerang, Banten province, Indonesia October 27, 2017. 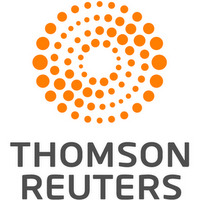 Antara Foto/Sigid Kurniawan via REUTERS ATTENTION EDITORS - THIS IMAGE WAS PROVIDED BY A THIRD PARTY. MANDATORY CREDIT. INDONESIA OUT. NO COMMERCIAL OR EDITORIAL SALES IN INDONESIA. On Friday, a pile of sacks was still smouldering as forensics experts searched for human remains. The disaster will throw a new focus on safety standards at workplaces in Indonesia, where rules are often poorly enforced. Police said the owner of the fireworks company, PT Panca Buana Cahaya Sukses, had returned to Indonesia to be questioned, along with seven witnesses, mostly administrative staff at the factory. "When he heard about the incident at the factory he was in Malaysia and he flew back straight away and went straight to Tangerang Police," Jakarta police spokesman Argo Yuwono told Metro TV. 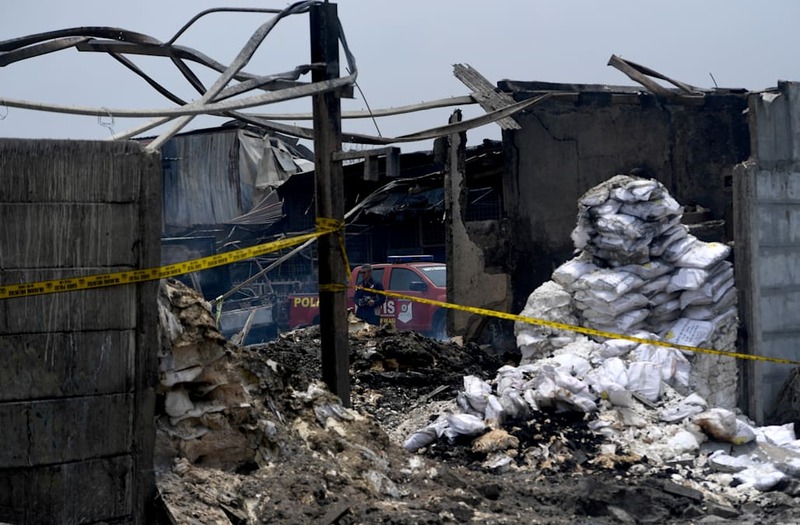 Earlier, Tangerang police chief Harry Kurniawan told Reuters the cause of the fire was still being investigated and denied reports that the factory gates were locked. Responding to a report that underage workers were employed at the plant, Kurniawan said investigations had not shown this to be the case. Hospital records seen by Reuters showed two of the injured were aged 15 and 16. Tangerang General Hospital is treating 12 patients, some for burns over 40 percent to 80 percent of their bodies, said a spokesman, Yudi Firmansyah. A massive explosion guts Mexico's biggest fireworks market in Mexico City, on December 20, 2016. The explosion killed at least 31 people and injured 72, authorities said. The conflagration in the Mexico City suburb of Tultepec set off a quick-fire series of multicolored blasts that sent a vast cloud of smoke billowing over the capital. Aerial view of Mexico's biggest fireworks market in Tultepec suburb, Mexico State, after a massive explosion on the eve killed at least 32 people, on December 21, 2016. Mexico worked Wednesday to identify charred bodies left by an explosion at its biggest fireworks market, as authorities investigated what caused the multi-colored salvo of destruction. Forensic experts are carrying out genetic analyses to identify the badly burned remains from Tuesday's blast, with just 13 victims identified so far, said state prosecutor Alejandro Gomez. A massive explosion guts Mexico's biggest fireworks market in Tultepec on December 20, 2016 killing at least 31 people. The explosion killed at least 31 people and injured 72, authorities said. The conflagration in the Mexico City suburb of Tultepec set off a quick-fire series of multicolored blasts that sent a vast cloud of smoke billowing over the capital. Police officers stand guard on December 21, 2016 at Mexico's biggest fireworks market in Tultepec after a massive explosion killed at least 31 people on the eve. The explosion killed at least 31 people and injured 72, authorities said. The conflagration in the Mexico City suburb of Tultepec set off a quick-fire series of multicolored blasts that sent a vast cloud of smoke billowing over the capital. A damaged car is seen at the disaster site after an explosion at a firework market in Tultepec, Mexico on December 21, 2016. At least 29 people were killed Tuesday when an explosion occurred at a fireworks market in a suburb of Mexico City, authorities said. People douse the embers amid the debris left by a huge blast that occured in a fireworks market in Mexico City, on December 20, 2016 killing at least 25 people and injuring dozens. The conflagration, in the suburb of Tultepec, set off a quickfire series of multicolored blasts and a vast amount of smoke that hung over Mexico City. Juan Carlos Alcala holds a photograph of his son Juan Antonio, who he is being searched for after an explosion at a fireworks market, outside the Forensic Medical Service (SEMEFO) in Tlalnepantla, Mexico December 21, 2016. A massive explosion guts Mexico's biggest fireworks market in Tultepec, on December 20, 2016. The explosion killed at least 31 people and injured 72, authorities said. The conflagration in the Mexico City suburb of Tultepec set off a quick-fire series of multicolored blasts that sent a vast cloud of smoke billowing over the capital. Security forces arrive on December 21, 2016 at Mexico's biggest fireworks market in Tultepec after a massive explosion killed at least 31 people on the eve. The explosion killed at least 31 people and injured 72, authorities said. The conflagration in the Mexico City suburb of Tultepec set off a quick-fire series of multicolored blasts that sent a vast cloud of smoke billowing over the capital. Forensic experts inspect the disaster site after an explosion at a firework market in Tultepec, Mexico on December 21, 2016. At least 29 people were killed Tuesday when an explosion occurred at a fireworks market in a suburb of Mexico City, authorities said. Concepcion Baez shows a picture of her relatives Eva Baez and Jazmani Gonzalez, as she asks for information on December 21, 2016 at Mexico's biggest fireworks market in Mexico City's Tultepec suburb after a massive explosion killed at least 31 people on the eve. Thirty one people are known to have died in the Tuesday blast. Forensic experts are working on genetic analyses of the bodies because nearly all are impossible to identify. Rescue workers were still searching for bodies -- or survivors -- in the smoldering wreckage of the market in the Mexico City suburb of Tultepec, which was packed with customers buying pyrotechnics for traditional end-of-year festivities. A forensic expert inspects the disaster site after an explosion at a firework market in Tultepec, Mexico on December 21, 2016. At least 29 people were killed Tuesday when an explosion occurred at a fireworks market in a suburb of Mexico City, authorities said. Fire fighters put out smoldering embers amid the debris left by a huge blast that occured in a fireworks market in Mexico City, on December 20, 2016 killing at least 26 people and injuring scores. The conflagration, in the suburb of Tultepec, set off a quickfire series of multicolored blasts and a vast amount of smoke that hung over Mexico City. Firefighters work amid the debris left by a huge blast that occured in a fireworks market in Mexico City on December 20, 2016 killing at least nine people and injuring 70, according to police. The conflagration, in the suburb of Tultepec, set off a quickfire series of multicolored blasts and a vast amount of smoke that hung over Mexico City. Relatives react while standing outside a hospital where victims of an explosion at the San Pablito fireworks market are being treated in Zumpango, Mexico December 21, 2016. Aerial view of Mexico's biggest fireworks market in Tultepec suburb, Mexico State, after a massive explosion on the eve killed at least 32 people. Mexico worked Wednesday to identify charred bodies left by an explosion at its biggest fireworks market, as authorities investigated what caused the multi-colored salvo of destruction. Forensic experts are carrying out genetic analyses to identify the badly burned remains from Tuesday's blast, with just 13 victims identified so far, said state prosecutor Alejandro Gomez. Rescuers search amid the debris left by a huge blast that occured in a fireworks market in Mexico City, on December 20, 2016 killing at least nine people and injuring 70, according to police. The conflagration, in the suburb of Tultepec, set off a quickfire series of multicolored blasts and a vast amount of smoke that hung over Mexico City. "We are expecting treatment to take a long time," Firmansyah added. "First there's the life-saving stage, then further treatment to prevent infections, and cosmetic procedures." Ayani, who goes by one name, wept when she saw her severely burnt daughter, Nuhayati, 35, lying on a hospital bed. "Her skin has been burned off completely," she said, pointing to her forearms, torso and legs, and adding that her daughter had started working at the plant a month ago. "She only had some hair on her head, but her skin is almost gone." Officials have warned that the death toll could rise, with police saying three people were still unaccounted for. There were some narrow escapes at the factory, staffed mainly by young women paid about $3 a day. Fitri, 18, told Kompas media she survived by submerging herself in a large tub of water used to clean equipment, along with four workers. "If we stay here, we won't be safe," she eventually told her friends, before climbing a 3-metre (10-ft) wall beside the tub and breaking through the roof. Then residents used a ladder to help her descend. The report said the fire was thought to have started in a holding area next to the front gate where fireworks were stored. Victims in orange body bags were taken to a police hospital in East Jakarta for identification by families. Sugeng Priyanto, an official at the Ministry of Manpower, told Metro TV a team was investigating safety standards at the warehouse, which had been operating for a few months. Tangerang Regent Ahmed Zaki said the company had a permit to pack and wrap fireworks, though not produce them at the warehouse, which was close to a school and housing. Earlier he had said it had a manufacturing permit. The disaster illustrated the low safety awareness in Indonesia, Jakarta-based Concord Consulting said in a daily report. "Regulations may be in place officially, but too often are simply ignored, resulting in high levels of complacency," it said.